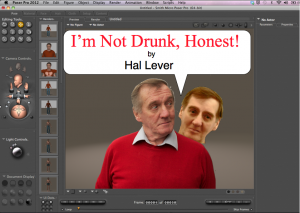 Would you like Hal to tell his fantastic story to your group? He is now available for speaking engagements across the North West. His inspiring story of one man’s battle against stigma will enthral you. 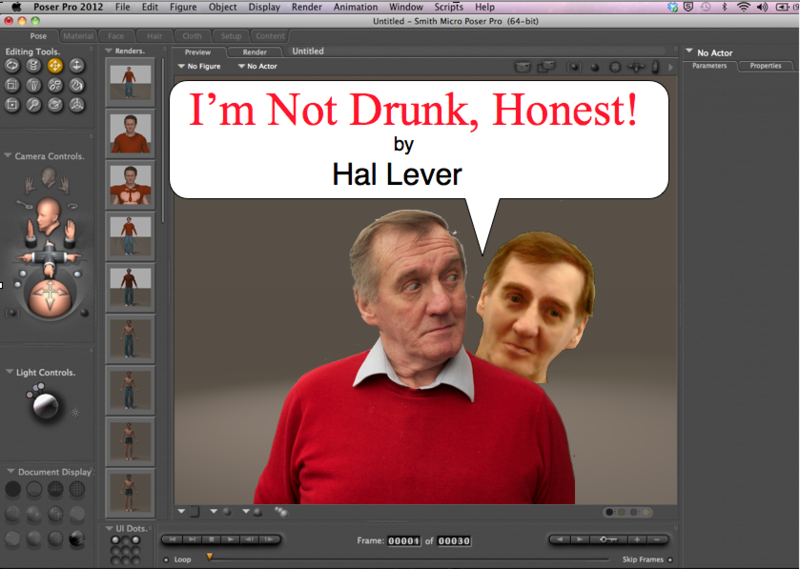 Silly Boy Productions Ltd, an award-winning Computer Animation company, was created in May 2005 to animate the works of Hal Lever. Hal has created a unique live show with interactive animation. You could say it’s a one man show, but then again don’t forget about Hal2! 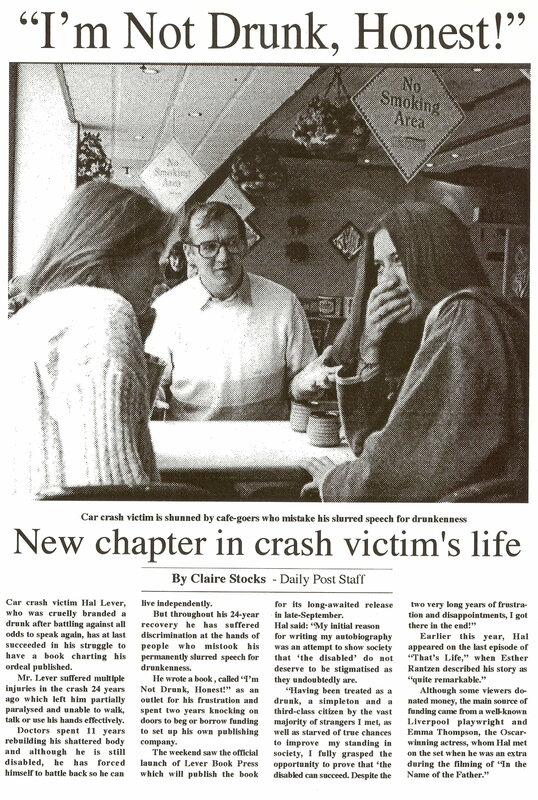 At the age of 21, I was unconscious for 20 days following a horrific car accident which left me completely incapacitated and I had a great many devastating injuries. The injuries meant that I was unable to walk, use my hands and I was left unable to speak due to the shock. 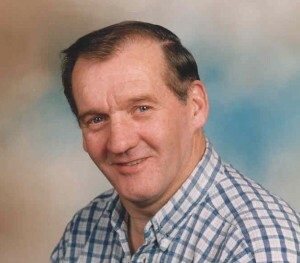 I spent six weeks in an infirmary and seven months in Winwick Psychiatric Hospital. Yet, despite a history of traumatic events, I made an incredible recovery. I wrote “I’m Not Drunk, Honest!” my best-selling autobiography. Between 2008/9 I toured 29 of Borders stores in the UK and sold over 12,000 copies. I am now giving talks in the Merseyside Area and will soon be touring the UK giving talks and workshops on: How To Believe in Yourself and How To Be Confident. After my devastating accident it would have been easy for me to settle back in a chair for the rest of my life but I'm not like that and neither are you. My Talks:- How To Believe in Yourself and How To Be Confident - will teach you that the only way is up. I am available for talk bookings soon.